Leading Manufacturer of 5 face rudraksha gold plated om locket pendant, designer rhodium gold plated pendant, gold pendant, gold plated pendant, golden polished blue sapphire pendant and kaju rudraksha om pendant handmade pendant brass metal with synthetic from Jaipur. Om locket having 5 faced rudraksha covered with silver coloured caps. Accordingly, it’s unique design which makes it a very attractive peice in your collection. It’s main attraction is the 5 faced rudraksha, which is located the center. Om locket Rudraksha beads have been worn for thousands of years by mankind for various reasons. They bring good health and is used for offering prayers to God. In the addition 5 faced Om locket rudraksha represents ‘Rudra kalagni’ which is a symbol for the five forms of Lord Shiva. Firstly, it helps in gaining spiritual insight and faith in difficult situations. Beneficial for people like students, teachers, journalist and writers. Helps in gaining confidence for public speaking Price Range: 300-320 per piece. 100% Natural gemstone for astrological positive effect. 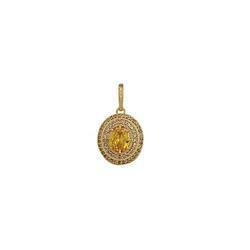 Gold Plated Pendant, having zircon studded arround it. This yellow Om Shree Pendant, showcases a unique design combining the Om and Shree. Featuring openwork, the pendant displays the Shree motif within the Om motif. Benefits: Suppose to bring Wisdom, Fortune and knowledge, Protection from Evil Spirits, Fertility, and Erasing Obstruction in finding a suitable match for marriage. The Pendant has given a unique looks with Cubic Zircons, where the finishing is saying a lot! 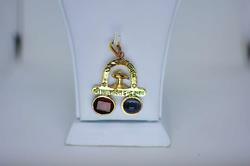 An all occasion, dailyuse, all age group pendant. Can be worn by both Men and Women. Keep jewellery away from direct heat, water, perfumes, deodorants and other strong chemicals as they may react with the metal or plating. Benefits: t is said to encourage Strength and Courage enhancing Self Confidence, leadership, administration powers, improves dealing capabilities, ability to face troublesome period by removing the obstacles. One should wear it if they dream of fearful things. With a firm commitment to quality, our organization is engaged in offering a wide ambit of Golden Polished Pendant. Kaju Rudraksha Om Pendant Handmade Pendant Brass Metal with Synthetic made in Brass Om pendant with Gold Polish Can be worn by Men and Women both Looks nice to wear as a daily or fashion wear also Shape of Ek Mukhi is in Kaju The One Mukhi Rudraksha blesses wearer with creativity, communication skills and inner meditation. Ek Mukhi Holi Rudraksha Bead brought to you exclusively by us. The term Rudraksha (Rudra i.e. Shiva aksha i.e. eye) literally stands for the eyes of Lord Shiva or Rudra implying thereby that it was pleasant to the eyes of Lord Shiva and hence so named in His honour. One Mukhi bestows happiness and revival from the miseries arising from loss of wealth. Prosperity or richness, luck, fortunes grow wherever it is venerated in House or put on in the body in the form of necklace. All forms of ill-effects related to wealth are dispelled. It boosts the concentration and will power of the wearer. According to Vedas it prevents diseases of head such as stroke, paralysis, etc What is the life of Rudraksha beads? Could be any number of years. If well protected, can be passed on from generation to generation. How long it takes to feel some effect? Normally within 45 days of wearing Rudraksha rosary you can start feeling the positive change. One Mukhi Kaju Dana Rudraksha Positive energies of rudraksha are cast in a delicate om design pendant specially designed so that it touches the skin when worn.Wear this pendant in 54 or 108 beaded necklace of rudrakshas, emeralds, sapphires, pearls etc.We will be happy to customise it for you. Comes In Half Moon / Kaju Shape.A Person Wearing One Mukhi Rudraksha Is Able To Lead A Rich And Powerful Life By The Blessings Of Lord Shiva. 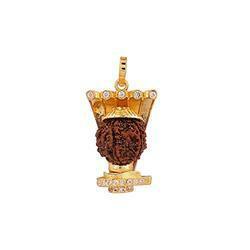 The One Mukhi Rudraksha Blesses Wearer With Creativity, Communication Skills And Inner Meditation. Ek Mukhi Holi Rudraksha Bead Brought to You Exclusively By Us. Synthetic Bead, It Is King of all Rudraksha Beads and Ruled By Pure Conciousness or Paramshiva. Lab Certified 100% Pure Product. Benefits: Suppose to bring Wisdom, It can bless with multiple sources of income if the individual is so inclined and works towards it. Great Customer Service:- We do try our best to improve the product and service. For A Longer Life - Store The Jewellery In An Air Tight Pouch, Keep Away From Water And Perfumes. Clean It With Dry And Soft Cloth. Sulemani hakik 100% Original Certified Lab Tasted Sulemani Hakik Pendant Sulemani Hakik Stone is a very fine quality Natural Certified Gemstone brought you exclusively by Shree Shyam Gems And Jewellery. Sulemani Stone are a Semi Precious Gemstone used by many nullify the evil effects of Rahu and Ketu. Sulemani Stone Gemstone works slowly but brings great strength. It is widely used since time immemorial ward off curses and disease. It is said avert the Evil Eye, improves Physical and Mental Health. It helps in controlling emotions and passions and also inspires spiritually. The one who wears Sulemani Akik Stone enjoys fortified self-confidence, responsibility and sharpened senses. An Sulemani Stone wearer has the comprehensive power to analyze things first before reacting. Sulemani Hakik is also good for headaches, wind, and acidity. A great stone for very sincere hard working people. Also, it helps one with insomnia aka problem with sleep. The Hakik Stone eliminates stress, neurological disorders, and apathy. It helps in controlling emotions and passions and also inspires spiritually. 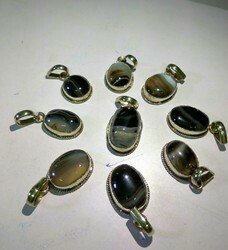 Sulemani Stone Stone wearer has the comprehensive power analyze things first before reacting. Sulemani Stone is highly recommended for people in politics and services. Sulemani Stone is considered as Holy Stone and it provides you the intuition of the future and provides you protection against the bad dreams. It instills a refreshed confidence in life and love. The benefit of Stone is that it creates joy in the heart, is good for eyesight and it helps illuminate sadness and anger. 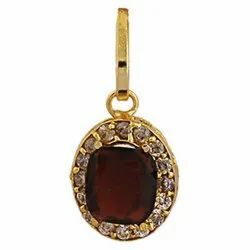 A Gold Plated Hessonite Garnet Gemstone Pendant is ruled by Rahu and hence has its magical effects over the wearer. One can wear this gemstone in his/her middle finger as it represents the planet Saturn or Shani Dev and also Rahu portrays similar effects. In addition to this, a Gomed can be worn as a pendant and as a talisman (touching the thymus) to avail its benefit over time. The great Gemstone expels fear buildings and favors the person with self-assurance and the boldness to assume control anything. The person who wears a Gomed ring or Gomed pendant get the ability to go up against life, ‘Head On’. It calms the mind of the wearer and relieves him/her from depression, deep-seated anxieties and mental problems. Gomed helps to boost concentration, focus and gives clear direction to help achieve goals. Therefore, it is quite beneficial for students and people who are working in the field of research. People into computer jobs, politics, government services, lawyers and scientists are benefited from the magical powers of this stone. Garnet as a Stone of Health, extracting negative energy from the chakras and transmuting the energy to a beneficial state. Garnet has been used to reduce body toxins, purify vital organs and blood, and assists in the assimilation of vitamins and minerals. Hessonite is very beneficial for people pursuing public speaking, as it enhances the wearer's influence over large crowds. 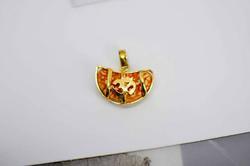 Golden Polished Pendant It has Navratnas on Pendant, This Piece of Jewellery Comes With Parure Assurance of Quality And Durability. Each Crystal is 100% Hand Set By Skilled Craftsmen. 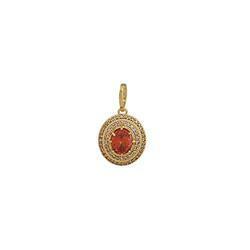 This Gems Pendant beautifully Crafted Pendant Is Made Of Brass. 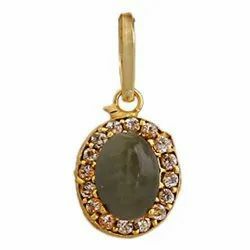 This Pendant Studded With Pearl Stone. 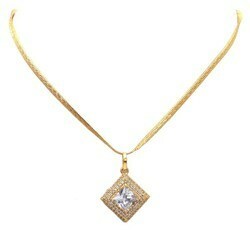 The Model Of The Pendants Is Made Of Cad/Cam Design Which Gives Look Of Real Jewellery. This Pendants Has High End Fashion Design Which Has Elegance And Style. Pendants are made with best quality and is much smoother, Soft and will protect your skin from rubbing. You will feel comfortable when wearing it. Shree Shyam. online brings exclusive Fashion Jewellery designs to you. The Best Price is assured to you as we remove all middlemen margins and real-estate expenses by manufacturing our own product. 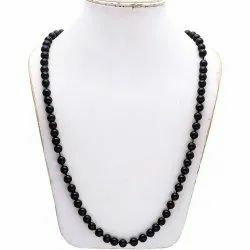 Thus, beautiful and contemporary Fashion Jewellery is made available at very reasonable prices to our valuable customers. It is generally recommended to small children for their longevity, health and to protect them from evil eye. It is good for their mental development too. It works as a shield to protect them from all sorts of misfortunes, mishapenings, injuries and fever etc. 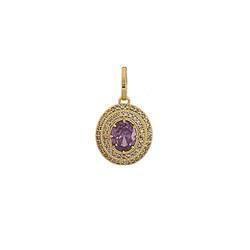 This Moti Locket In Half Moon Shape should be worn on Monday. 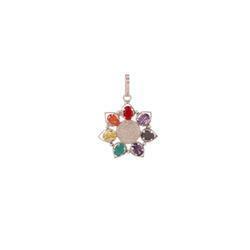 The material of the Gems Pendant is brass which is gold polished. This gold polished brass defines in the inner portion of the eye. The lashes of the eye contains same material and properly defined. Delicately made with precision, they can also be adjusted by anyone easy according to the comfort. Eye is made of same material all around with 4 lashes on each side. Inside the eye is a black stone which denotes the Iris. Furthermore, Surrounding the black stone is a line of colorless Zircon stones, which gives a definition to the center Stone. The eye protects from negative energies and ward-off evil omens. Eye is one of the most important part of the human body. It is watches everything in the environment of the person. In fact, in Hinduism, Lord Shiva is known as one of the major gods. He have 3 eyes which watch over the world. Eye is most expressive part of the body. They are a symbol of honesty and truth. The symbol of an eye denotes the eye of the almighty who is watching every good and bad deed. Meanwhile, the Zircon cover the entire lid in crescent moon shape which along with the AD stones which creates a dazzling effect. In addition, this pendant is a statement piece in any outfit. The pendant has a sturdy structure which strongly holds on to the inner stone. 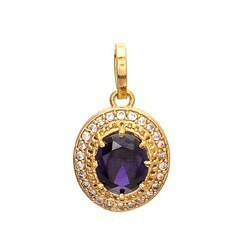 In conclusion, this pendant is very comfortable to wear and a very popular choice. The High Quality Material of the Pendant is Brass Which is Gold Polished. At the Top, The Lid Of The Eye is Covered With Rows of Colorless Zircon Stones. The features defining the eyes in this pendant are: the Iris, eyelid, lashes. 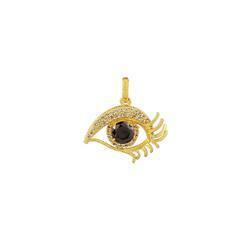 The Eye Protects from Negative Energies and Ward-Off Evil Omens. The pendant has a sturdy structure which strongly holds on to the inner stone. 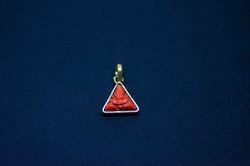 We are deal in Casting Pendant. 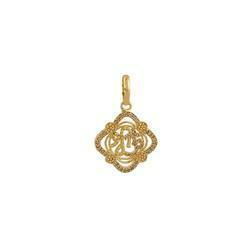 This Om Shree Pendant Rhodhium Polished Zircon Studded Casting Made Golde, showcases a unique design combining the Om and Shree. Featuring openwork, the pendant displays the Shree motif within the Om motif. A combination of matte and high-polished finishes adds to the appeal of the pendant. Traditional and unique in design, the pendant will add a special touch to any ethnic outfit Collection. 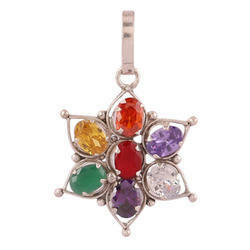 The ‘Brass Pendant’ is an amalgam of the nine most precious gemstones, renowned for their powers of spiritual healing. The mystical tradition of wearing the nine gems, linked to the nine planets is said to bring about great positive changes in all aspects of life. Although the origins of Navratnam cannot be traced back in written history, many cultures accept the sacred practice and even the modern believers of scientific gemstone therapy have taken note of it with approval. Pendant has Shivlinga Shape with Rudraksha in it with white diamond. This Piece of jewellery comes with Parure assurance of Quality and Durability. Each Crystal is 100% hand set by skilled craftsmen. Munga Ganesh Locket offered by us are of international standard and are available in the market at industry leading prices. Our craftsmen and artisans help us to come up to the expectation of our clients from all over the world by providing them Moonga Ganesha/ Ganesha Locket of latest design, beautiful patters and attractive colors as per the requirements of our clients. Moti Chand Locket is generally recommended to small children for their longevity, health and to protect them from evil eye. It is good for their mental development. It works as a shield to protect them from all sorts of misfortunes, mishappenings, injuries and fever etc. Sould be worn on Monday. Following Mantra should be chanted for it -"Om Soung Somay Namah"
Designer Party Wear Synthetic Navratan has navratnas in each petal, which is very connected to the pendant. The nine gems are ruby, pearl, diamond, emerald, blue Sapphire, yellow Sapphire. Inside this in a circle, an om in carved. Om is made of brass and has silver polished on it. This om is firmly fixed in circle is delicately carved. This pendant has the sides which is believed to be the strongest shape in the world and the stones which are engraved in it increases its beauty.